call us at 720-849-1810 for a free quote today! ​Family owned and operated since 1999, the team at Fast Glass is proud of our reputation for delivering high quality, timely and affordable glass services to the residents and businesses of Highlands Ranch, CO and its surrounding areas. We always put customer satisfaction above all else. When was the last time you stopped what you were doing and took a moment to gaze out the window? Windows can serve as lovely frames for the world around us, but if your windows are damaged or aging, then you might be less inclined to use them. Fortunately, the team at Fast Glass is here to help. We have been providing high quality, reasonably priced window repair and window replacement in Denver, CO and the surrounding areas since 1999. As a family owned and operated local business, we love serving our community, and hope to help you soon as well. 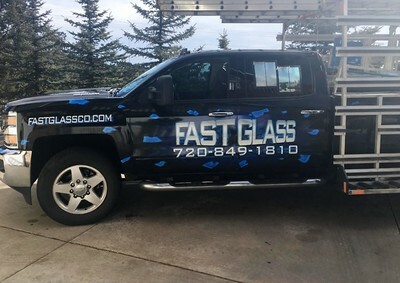 Here at Fast Glass, our team of highly skilled and knowledgeable technicians specializes in a wide range of services, including patio door glass, door glass, window repair, glass repair, fogged glass, fogged double pane glass, broken glass, single pane glass, storm windows, window parts, screens, hail damage, glazing, window replacement, safety glass, glass replacement, broken window glass, window installation, double pane replacement and so much more. In short, if your glass has seen better days, we are the ones to call. We are a proud, locally owned and operated small business in Denver, CO.
We offer a wide range of window repairs and services. Satisfaction Guarantee: We guarantee our products and our work! If there is anything you’re not happy with, we’ll fix it—period. Our professionals have over 15 years of experience in the industry. We strive to always offer reasonable prices and quality products. We know that dealing with larger companies means that your priorities and satisfaction aren't as important as their bottom line. Larger service companies try to fit everyone into the same box, and follow the same process regardless of the customer's specific wants and needs. Tom and his team of window repair and replacement experts at Fast Glass have been serving the Denver Metro Area since 1999, and we have always put the customer's needs first. We provide FREE consultations and quotes and are happy to listen to your comments and concerns about any of your window replacement or window repair needs. And, honestly, we really do love glass. Our loyal customers keep coming back to us because of exceptional service, personal attention, and of course affordable solutions. We get more and more referrals from everywhere in the Denver area because our customers are happy to point their friends and family to us because of the quality service we provide. If you are looking for the best glass replacement company in Denver and Highlands Ranch, you've come to the right place! Give us a call today at 720-849-1810, contact us through email, or you can fill out the contact form at the top of this page. We would love for you to join our family of satisfied and loyal customers! If you research around on the internet about the different types of windows, you could get lost in all of the options that you have available to you. Fast Glass is here to help. We know all about the different types of window replacement options, and we are happy to share our expertise with you. Colorado has a very unique climate. The summers can be blistering hot during the day, and the winters can be extremely harsh. During the spring and fall, temperatures can fluctuate by as much as 40 degrees in a single day - and inclement weather can appear within minutes. Because of this, most of the time we recommend having double pane windows, which insulate much better against changes in temperature than other types of windows. These windows make your home incredibly energy efficient, allowing you to lower your bills and reduce your energy footprint. If your home's windows need an upgrade, or your current double pane windows are aging and in need of replacement - contact us immediately! You will see window and glass replacement experts talk a lot about "energy efficiency" with the different types of windows. There is a good reason for this. It's easy to know that you need to replace a window when it cracks or is broken, but one of the best reasons to consider a window replacement is the energy cost savings. We mentioned this above, but double or triple pane windows will certainly reduce your monthly energy bills over single pane windows - helping to insulate the transfer of warm or cold air through your windows. This is one of the no nonsense reasons to upgrade your windows, but it isn't the only reason you should contact a window expert for a consultation about energy efficiency. Even if you already have double pane windows or don't think you can change your energy costs any more - you may want to evaluate the seals and weather stripping along all of your windows and doors to make sure that you don't have any air leaks. Even the smallest hole can make a huge difference. New windows can also provide curb appeal and aesthetic to your home, and most of the time return much of the cost in added value to the home. Fast Glass offers window replacement in all of the top brands and styles, including casement, double and single pane, awning, sliding, or double and single hung windows. Between the added value that new windows can put into the home and the monthly energy savings, windows can make up 100% of the cost within just a few years. If your seals are damaged, corroding, or even just old - call Fast Glass and one of our window repair experts can come evaluate and repair the seals on your windows!